Those people cheated by scams are not totally uneducated idiots, many of them are white color workers like engineer, lawyer, teacher, etc. I always remind my old mum that do not ever believe any story from the phone calls from anyone. There are more unreported cases for every single case reported to police. Let say the ratio is 5 to 1, thus the money lost to Macam scammers is more than 350 million in the past three years. 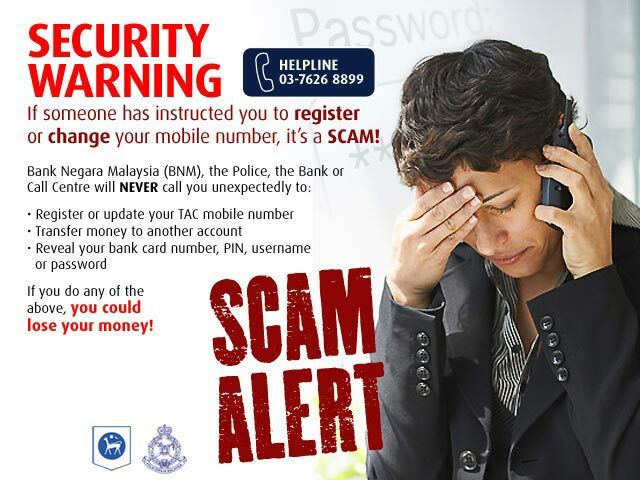 In addition to African and other phone and internet scams, Malaysians lost a billion RM to scammers in the past three years is not an underestimated statement. PETALING JAYA: More than RM83mil in losses have been reported in the past three years by victims of phone scams, also known as Macau scams. Despite advice and repeated warnings from the police, people are still being duped by syndicates which approach prospective victims in the guise of officers from Bank Negara or other banks and even as police officers. They fool the victims into transferring their money into another account on the pretext that their’s had been compromised. 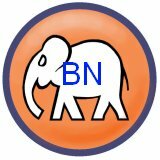 The latest victim was Koh Choon Song, 62, from Sitiawan, who lost his savings of RM9,700 within 13 minutes of receiving a call from a man who claimed to be from Bank Negara, who said the fishmonger had to settle his credit card bill of RM4,770. Koh reportedly told the man, who called himself Lee, that he did not own a credit card but the caller insisted that Koh’s personal information had been compromised. Lee allegedly told Koh to transfer all his savings into the account of a certain bank officer named “Datuk Muhammad Aiman Poh” who could safeguard the money. The fishmonger did as he was advised but when he called the number again he could not reach Lee. Federal Commercial Crime Investigation Department (CCID) deputy director Senior Deputy Comm Datuk Hamza Taib said the favourite ruse of the syndicates is to tell the victims their account or credit cards had been used without authorisation or probably used by a crime syndicate. “Out of fear, the victims will then transfer the money into the syndicate’s account,” he told The Star. In 2012, a total of 821 cases, amounting to losses of RM22.4mil, were reported. Last year, there were 967 reported cases involving losses of RM25.8mil. Up to August this year, there were already 885 cases that had resulted in losses of RM26.8mil. SDCP Hamza described this as “alarming”. SDCP Hamza said 145 people believed to be behind the scam had been arrested up to August. By comparison, 123 people were arrested the whole of last year and 355 people in 2012. In a related development, SDCP Hamza said the CCID has formed a Police Cyber Investigation Response Centre for round-the-clock monitoring of content on the Internet, especially on social media. Commenting on the recent spate of text messages that gave the account numbers of the scammers, SDCP Hamza said the victims themselves might have contributed to the pooling of the numbers. On the so-called African Scam, where African syndicates “befriend” victims before cheating them, SDCP Hamza said 967 cases were recorded in 2012 that resulted in losses of RM40.9mil. There were 1,225 cases last year.